Sometimes dishes, goblet and jugs were decorated with the coats of arms of a particular family. Such objects were specially ordered from Venice and were used for display or occasional practical use at the table during special banquets. 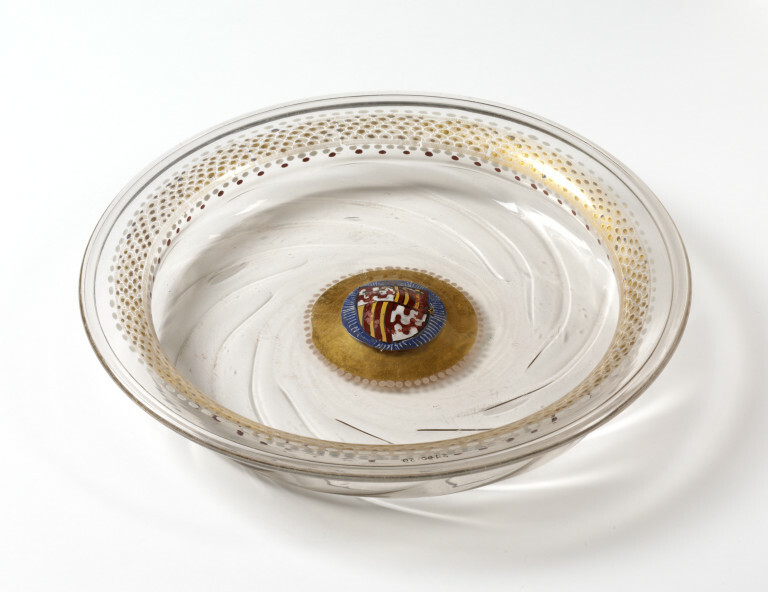 Large dishes like this were used for serving food or possibly as a basin to accompany a ewer, used for hand-washing at the table. 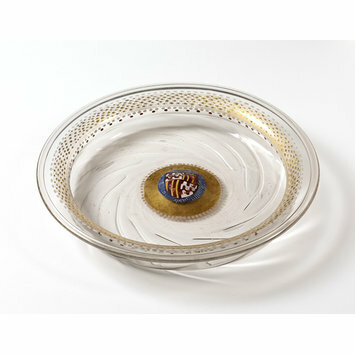 Mould-blown, clear colourless glass, enamelled and gilt in the centre with a coat of arms. The arms are probably those of the Gallerani family of Siena.